Wally asked me to write something about my project. I want to fulfill this command, upps, this request. my progress is very, very slow. Can you keep it under the decklid? Any pics of the Variant as it is now? I hope it fits under the lid. But in any case, I have to cut off the intake manifold. There are no pictures now. Everything is still original but disassembled and must be welded here and there a little bit. Now I first adjust the engine and transmission, so I can build the brackets. Then I want to build the brakes, then edit the body. In the type 3’s variant world, the only way to retain the stock engine hatch height would be to make a custom inlet maifold to reduce the height of the engine. 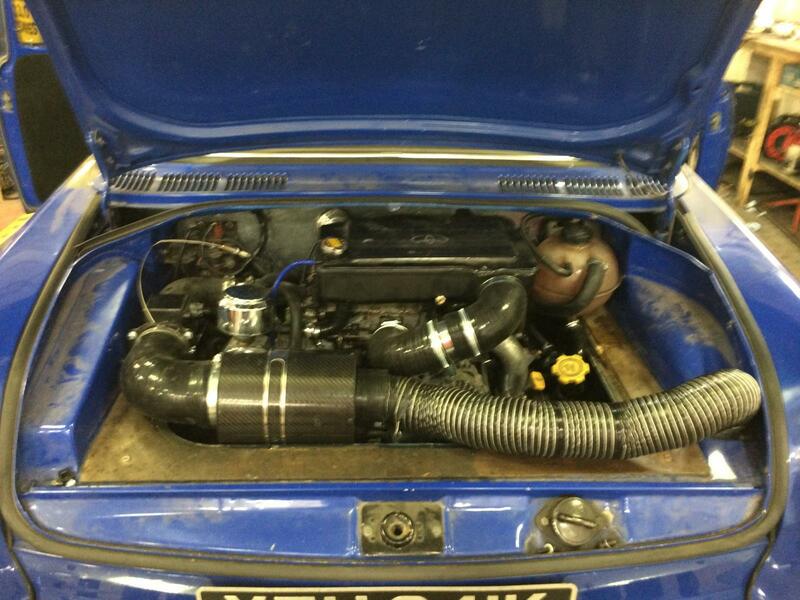 With my notchback it’s more like a Karmann Ghia now with the rear boot/trunk area as the engine bay. Fare play not only for keeping a Type 4 on the road but the STI transplant also.... hats off to you sir! As i said, my progress is very slow. Real life is always in pole position. The first two Pics showing the gearbox that gets installed. Third picture shows my dummy gearbox with which I want to calculate the location and mounts. What was the gearbox from? Found a few older ones, but not much has changed so far.